Week two of the 2018-2019 NFL season will forever be remembered as the weekend of the kicker. Or maybe a better way to put it would be the lack of the kicker. Browns kicker Zane Gonzalez was 2/4 on field goal attempts and also missed a pair of extra points, one of which would have given the Browns a 19-18 lead over the Saints in the final minutes of the game. The second field goal he missed was a 52-yard attempt that would have sent the game to overtime at the buzzer. The Vikings’ rookie kicker Daniel Carlson, who has since been cut in exchange for former Cowboys kicker Dan Bailey, was 0/3, including two missed field goals in overtime (one of which was from just 35 yards as time expired to end the game in a 29-29 tie). Because of Carlson’s kicking woes, the Vikings wound up tying their NFC North division rivals, the Packers. The week was not entirely defined by kickers, however, as a number of exciting games were the product of some great play. The Chiefs’ new quarterback Patrick Mahomes continues to be the story of the NFL thus far, as he became the first quarterback to ever throw 10 touchdowns in the first two games of a season. On Sunday’s 42-37 road win in Pittsburgh, Mahomes was an almost perfect 23 of 28 for 326 yards and six touchdown passes to five different receivers. Through two weeks, the Chiefs are the most exciting show on turf and all of it starts with Mahomes. While their offense has been the story of the league, their defense is very porous, as they gave up 37 points to Ben Roethlisberger and company. Even though many have often argued the best offense is a great defense, Chiefs Head Coach Andy Reid clearly begs to differ as the Chiefs have put up a combined 80 points in their first two games and are 2-0. Entering the season, the Buccaneers were supposed to be among the league’s worst. Ryan “Fitzmagic” Fitzpatrick and company, however, had something else to say about that as they are 2-0 and among the hottest teams in football after knocking off the Saints in week one and then the Eagles in week two. 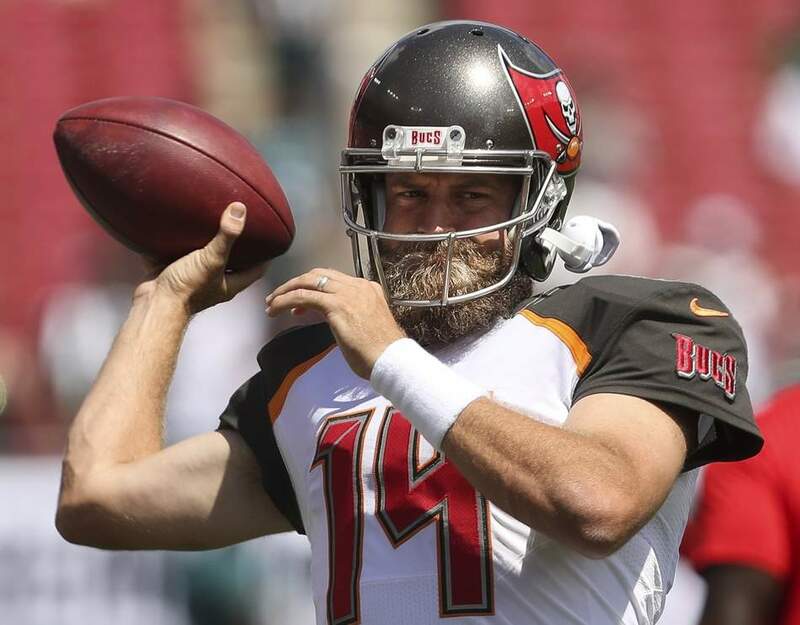 Fitzpatrick wasn’t even supposed to be Tampa Bay’s starter entering the season, but has been among the league’s best quarterbacks during his time filling in for the suspended Jameis Winston. If Fitzpatrick keeps his magic up, it wouldn’t be wrong to assume that Tampa will stick with the hot hand in favor of the erratic Winston. Throughout the contest, Fitzpatrick continued to air the ball out deep to receivers Desean Jackson and Mike Evans as well as tight end OJ Howard. The Eagles and Nick Foles, however, were unable to keep up with the Buc’s shockingly potent offensive attack. Even with their late game surge, the Bucs came out on top 27-21. This was the most hyped up game of the weekend, and for good reason. The Patriots and Jaguars should be the class of the AFC throughout this season and many believed this match-up in Jacksonville would be a prequel to the AFC Championship Game in January. In this match-up, the Jaguars showed why they are the team to beat in the AFC. Blake Bortles was simply awesome, outplaying Tom Brady and throwing for 376 yards and four touchdowns to go along with 35 rushing yards. The vaunted Jags defense proved they’re the class of the league by holding the Patriots in check all game and limiting them to just 20 points. This 31-20 victory by the Jaguars, who keep in mind were without Leonard Fournette, showed they’re going to be match-up for each team to circle on its calendar as a scary game. Week two in the NFL had no shortage of excitement, and week three should offer more of the same. Some of the marquee match-ups of the week include a divisional match-up between the Saints and Falcons in Atlanta, a crosstown battle in Los Angeles between the Chargers and Rams and a big Monday night game between the surprisingly 2-0 Buccaneers and the equally surprisingly 0-1-1 Steelers.